It's a thought that would make most people wince – receiving an injection in the eye. Monthly, or even more often. But for those with macular degeneration that's the reality of trying to treat severe vision loss. Now a team of CSIRO and Chinese researchers have developed a potentially less invasive drug delivery system for patients with the condition, and gold is a key ingredient. Writing in the international edition of Angewandte Chemie this week, the team described how a hydrogel infused with gold nanoparticles had, when exposed to light, released pre-loaded therapeutics. 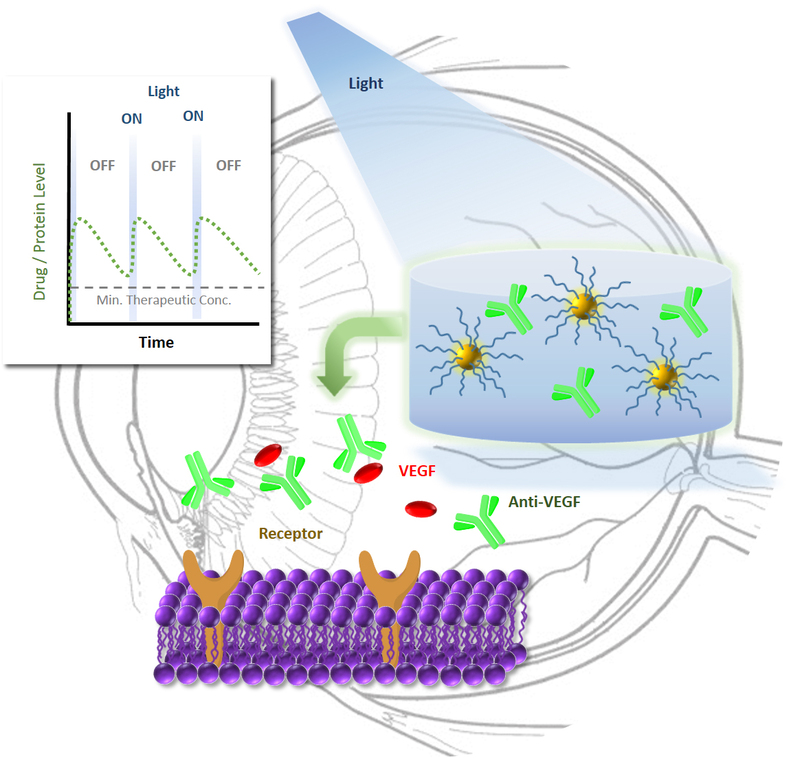 CSIRO researcher Johan Basuki said in principle, the patented method is able to reduce the number of injections required by patients with Age-related Macular Degeneration (AMD) by controlling the dosing using an external light. "This unique delivery system improves on current therapeutic delivery which is via frequent injections to the back of the eye," Dr Basuki said. "Many effective biomacromolecule therapeutics are currently available to patients with AMD, but due to their susceptibility to biodegradation they are required to be administered via an ongoing monthly injection into the eye. "Our system can control the release of drugs though exposure to light, which means a higher concentration can be injected, with the drug release activated monthly using light. "Importantly the drug doesn’t need to be modified in any way and it retains very high biological activity after release." 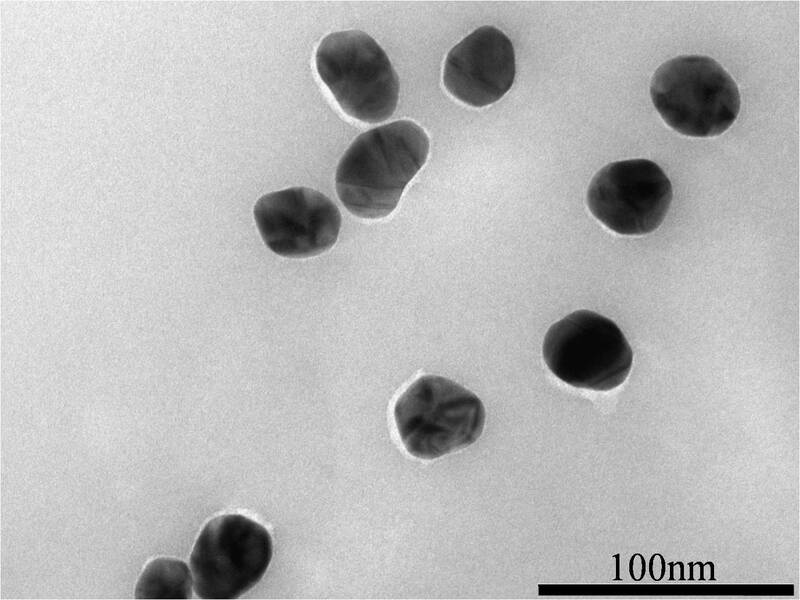 While CSIRO researchers can use various materials as part of the delivery system, they’ve focused for now on gold nanoparticles. It absorbs light at specific wavelengths then releases it as heat, enabling the polymer matrix to soften, increasing the diffusion of drugs. Importantly, the process is reversible, so when the light is turned off, the polymer cools down and hardens - stopping the release of the drugs. The system is highly versatile and can deliver different types of drugs ranging from small molecules to proteins and antibodies. The gold nanoparticles can also be customised to different light wavelengths, meaning the method isn't just skin – or retina - deep. Infrared light, for instance, could release drugs used in deep tissue, solid tumour therapy. It could even play a role in fighting cancer, while possible personal care and agricultural applications are also being investigated. CSIRO Manufacturing is seeking investment partners to help take its research to the next stage.